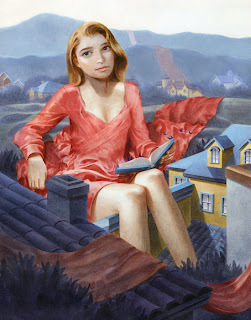 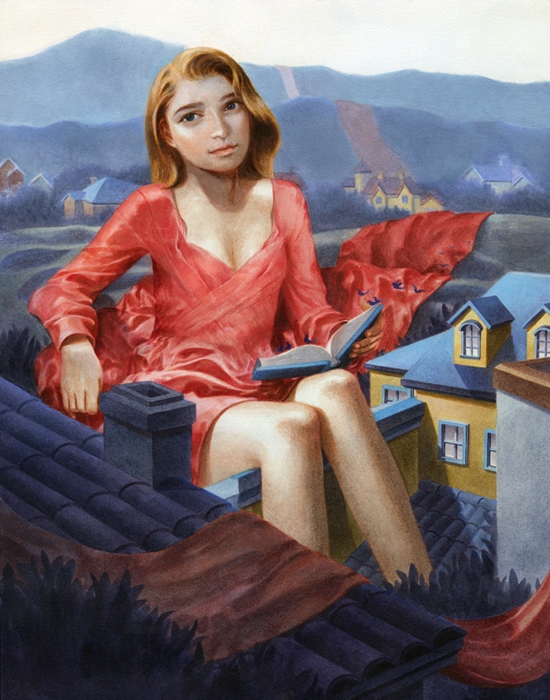 Tran Nguyen was commissioned by Chateau Ste. 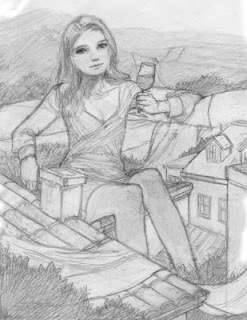 Michelle (a vineyard in Washington and maker a particularly delicious Riesling) to create an illustration that would best describe her "Chateau". 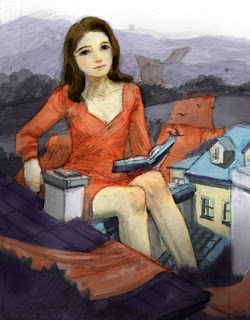 The project is part of an ongoing campaign to show different places and times that a person would find most relaxing, whether it's reading a book and enjoying a glass of wine, or happy hour with friends.